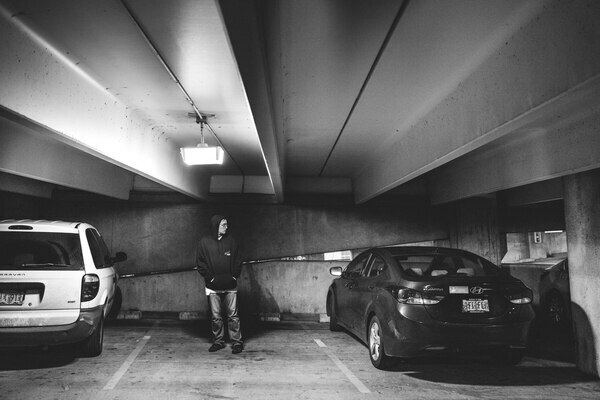 Portland now ranks third among the nation’s major cities for car thefts per capita. And the number keeps rising. In May of this year, Ashley White set a record. 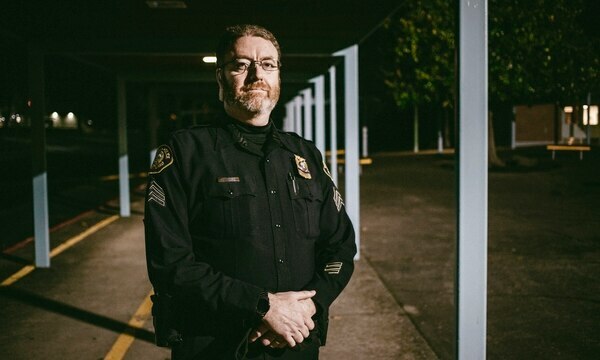 "I haven't seen a change in crime levels for a specific crime that much as far as I can ever remember," says Dr. Kris Henning, a professor of criminal justice at Portland State University. "It's pretty dramatic." Cars go missing from every neighborhood in Portland. They are stolen when people leave them warming up in the driveway or leave the keys inside when they grab a coffee at the gas station. Older Hondas and Subarus are particularly attractive: They're easy to hotwire. Related: FBI statistics show crime is down or flat across Portland—except in one key category. 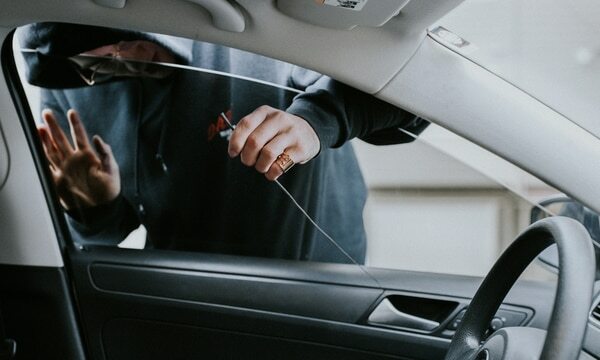 Police say the rise in car thefts is partly a symptom of Portland's ongoing epidemic of intravenous drug use, which afflicts people for whom a warm, dry place is increasingly difficult to find. "A lot of clients know the right things to say or not say to avoid conviction," says Kami White, who supervises the minor felonies unit at Metropolitan Public Defenders. Yet the legal part of it has a simple fix: State lawmakers could close the loophole created by the appeals court. They've refused. Rep. Jeff Barker (D-Aloha) authored a 2017 bill to reform the law, then watched it die in committee last session. "I think it is important that we be able to have some kind of a penalty," says Barker. "Word will really quickly get around on the street in Portland that when you steal a car, nothing will happen." Ashley White is finally in prison, serving time in Coffee Creek Correctional Facility, for using the Chevy truck to commit an assault—not for stealing it. In the year before, White, who has struggled with addiction to meth, stole parked cars off the street and snatched idling vehicles from motorists' driveways, according to police records. In March, she crashed an SUV into a garage while trying to steal it. White and other repeat offenders appear to be exploiting the legal challenges of prosecuting car thefts. WW's review of records shows repeat offenders accounted for more than 1 in 3 auto theft arrests between October 2016 and September 2017 in Portland. At least 102 people in the Portland area have been arrested multiple times in the past year for car theft, though half of 2017's cases were never prosecuted. "It's the same people we arrest over and over and over," says Portland police Sgt. Brian Hughes, who oversees the East Precinct night shift. "They're not being properly held accountable for their crimes." Related: Portland's most frequent offenders, repeatedly arrested behind the wheels of stolen cars. Hughes and others say this all changed in 2014, when the Oregon Court of Appeals ruled in a case that has made prosecuting car thefts very, very difficult. Shipe's appeal claimed that prosecutors could not prove he had "knowingly" taken possession of a stolen vehicle. Prosecutors argued that the evidence should have made it obvious to any reasonable person that the truck had been stolen. It set a precedent: Carrying tools associated with car break-ins or even operating a car with the wrong key was not enough evidence to prove that someone sitting in a stolen car knew that it was hot. A year later, the appeals court doubled down, overturning the conviction of a man named Randy William Korth, who had been found in a stolen car in Portland on Nov. 3, 2012, but told police that he got the vehicle from a "friend of a friend" named "Dave." The court determined again that the state had not proven the defendant knew the vehicle was stolen. "The evidence in this case 'requires the stacking of inferences to the point of speculation,'" wrote Judge Douglas L. Tookey in the court's decision, "and is therefore insufficient to prove, beyond a reasonable doubt, that defendant knew that the truck was stolen." Since the Korth and Shipe rulings, judges have been dismissing cases against accused car thieves. They often express some regret. "If there was no additional evidence, would I have any great difficulty finding the defendant guilty of these charges? Not particularly," wrote Multnomah County Circuit Judge Henry Kantor when ruling in a June 2016 case against an accused car thief named Juan Carlos. "But the [Court of Appeals] says I can't do that. 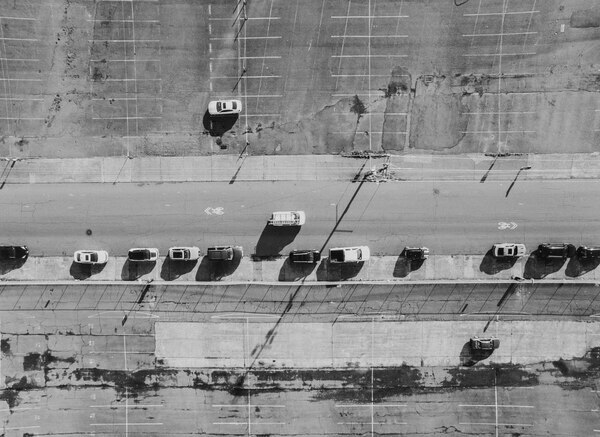 It seems like the burden of knowledge for a stolen motor vehicle is nearly impossible for the state to meet without the defendant's own words." Law enforcement officials have said the decisions have allowed hundreds of people to steal cars with impunity. "It's a direct result of the two Court of Appeals cases," says Clackamas County Senior Deputy District Attorney Chris Owen. "I think the decisions were absurd. They've really put a shackle on how we can prosecute these cases." 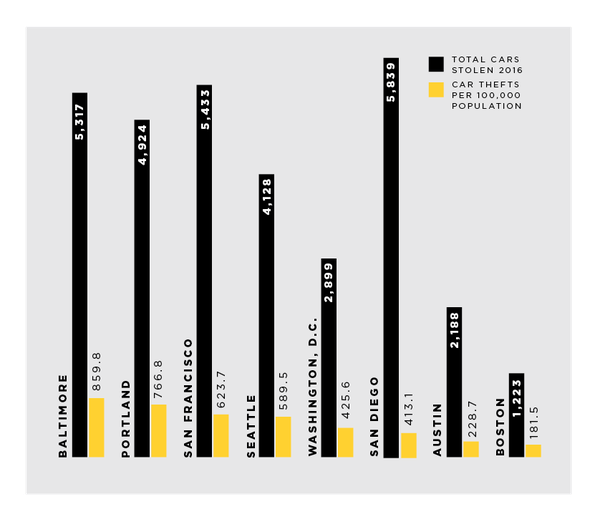 Portland ranks third among the 30 largest U.S. cities in cars stolen per capita. FBI statistics show cars are stolen in Portland at a much higher rate than in similar cities. It didn't take long for word of the overturned motor vehicle theft convictions to reach the people stealing cars, say prosecutors. 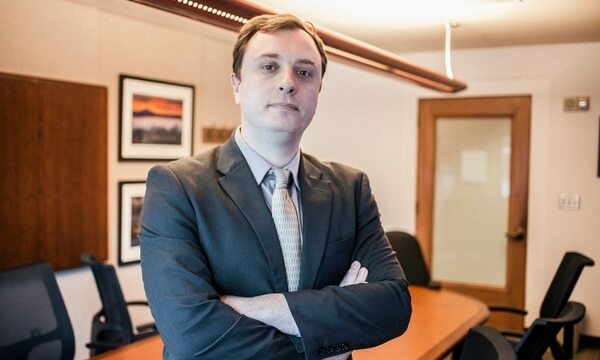 Ryan Lufkin, a lanky Multnomah County deputy district attorney, is the DA office's designated liaison on motor vehicle theft to state legislators. That means he has spent a lot of time explaining to lawmakers why his office can't successfully prosecute car thieves. "They are concocting a story—no matter how implausible," Lufkin says. "'I bought it from my friend Zach.' 'Who is Zach?' 'I don't know his last name,'" Lufkin recalls. "Or, 'I borrowed it from my friend Zach. I'll leave it around 3rd and Main, and he'll come and get it some day.'" Dozens of memos sent to Portland police by Multnomah County prosecutors lay out the same scene: Suspects arrested in a stolen car claim they had no idea it was stolen, leaving prosecutors with an uphill battle. "If you have to prove that the person knew that they were entering a stolen vehicle, how in the world are you supposed to do that?" asks PSU's Henning. "Korth and Shipe fundamentally changed what we as prosecutors understood as the nature of the proof we would need," Lufkin says. "Our fundamental understanding of the amount of proof it took to prosecute these cases changed significantly." Public defenders say that prosecutors share in the blame for a spike in dropped cases: DAs could bring more cases to trial, but fear lowering their conviction rate. "I think the DA's decisions not to prosecute more of these are totally discretionary," White says. "They are worried about losing more of these cases at trial." WW reviewed records of the 1,153 charges for motor vehicle theft that Portland police forwarded to the Multnomah County district attorney between Oct. 1, 2016, and Sept. 30, 2017, and thousands of corresponding court records. The DA dropped nearly half the cases. That's way up from 2012, when prosecutors declined only about 27 percent of such cases. The result? "The people we arrest stealing cars are often back stealing cars the very next day," Hughes says. 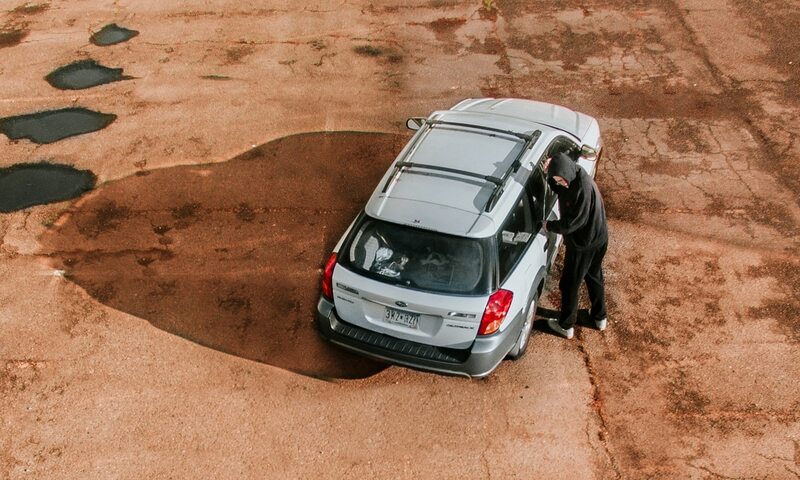 Having your car stolen isn't just a hassle. For many people, it's the most valuable thing they own—and their only means for getting to work, picking up kids from day care, and shopping for groceries. "Car theft cases may not be on top of the food chain," says Owen, the Clackamas County prosecutor, "but they're important cases because they impact working-class people. It's not just an inconvenience. It affects their everyday lives." Julia Ramos walked outside her Raleigh Hills apartment on Sept. 19 and found another car in the spot where she'd parked her gold 2000 Honda Civic. But her car wasn't in any impound lots. When Ramos, who is 33 and the manager of a food cart downtown, called to report the Honda stolen, police told her to keep an eye out for the car on the streets. "They were apologetic about it," Ramos says. 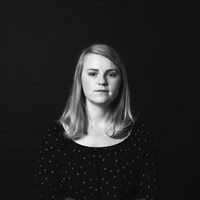 "They tried to give me hope and told me they just closed a case where a girl reported a car stolen two years ago—she found it a half-mile away." Indeed, police found Ramos' car in the parking lot of a neighboring apartment complex a month later. The battery was dead, the ignition was broken, and the windows had been left rolled down. Meanwhile, Ramos had to take a bus to work or catch a ride with her boyfriend. She had left notebooks in the backseat filled with standup comedy routines she'd spent months working on. She worried she'd never get them back. "It's a weird violation," she says. "I had things in there that were mine, things that were sentimental and valuable to me." 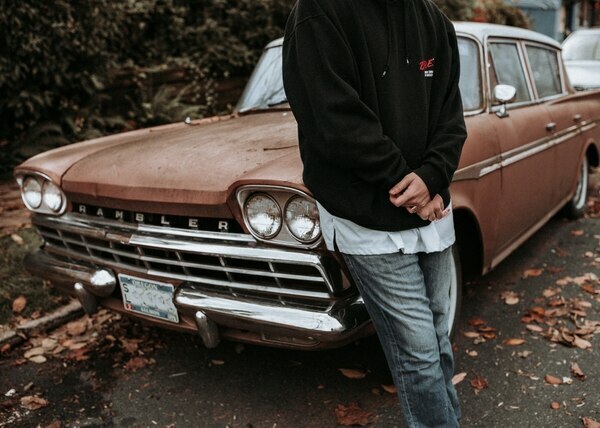 Portlanders regularly take to social media to seek help finding their stolen cars. The "PNW Stolen Cars" Facebook group, which spans Oregon, Washington and Idaho, has 12,790 members and averages 23 posts a day. 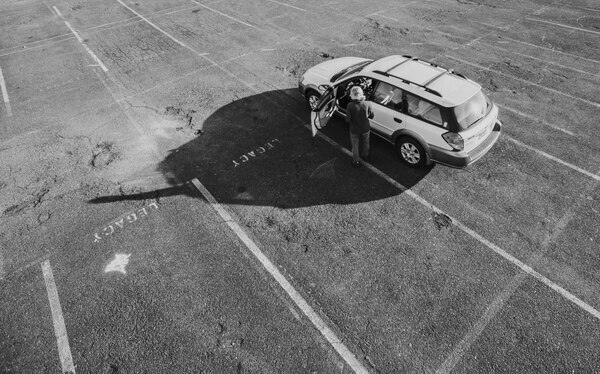 On Nov. 10, a Portland woman named Katie Cox posted that her husband's car had been stolen from the Gateway Shopping Center parking lot while he was at work. Two days later, she updated the post. "Our car has been recovered," she wrote. "The battery was stolen, the plates were stolen, the registration is gone, and it's trashed. Other than that, it's in good shape. We made the decision to sell the car because I can't look at it without getting extremely angry." That anger and confusion is shared by some of the most prominent people in Portland. This month, Columbia Sportswear CEO Tim Boyle threatened in an op-ed in The Oregonian to shutter his new downtown office unless city officials did something to curb the car break-ins endured by his employees. "We shouldn't have to live with that stuff," he tells WW. "When it becomes a point of safety for our employees, it reaches a point when it is really over the top." After two years of dealing with the fallout from the Shipe and Korth rulings, the Multnomah County District Attorney's Office had had enough—and went begging to Salem. 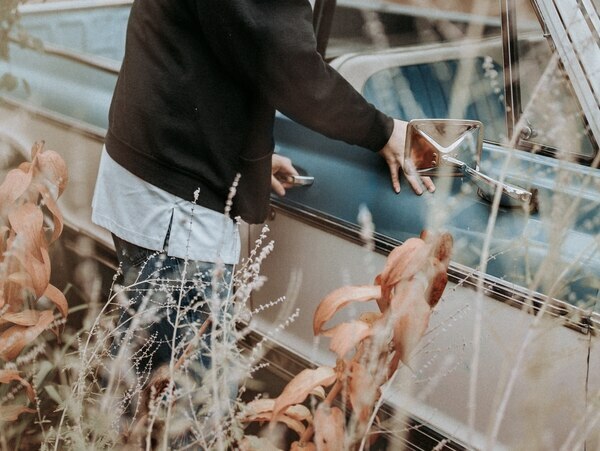 Oregon House Bill 2794, proposed in the 2017 legislative session, would have lowered the standard of proof that prosecutors need to get a car theft conviction to stick. The bill would have allowed prosecutors to present cases in which a defendant had been found in a stolen vehicle, along with "slight corroborative evidence" (such as jiggle keys, burglary tools or illegal drugs). "Leave it to juries to decide on a case-by-case basis," Lufkin said in an April presentation to legislators. The laws in neighboring states don't make it nearly so difficult to prosecute car theft cases. 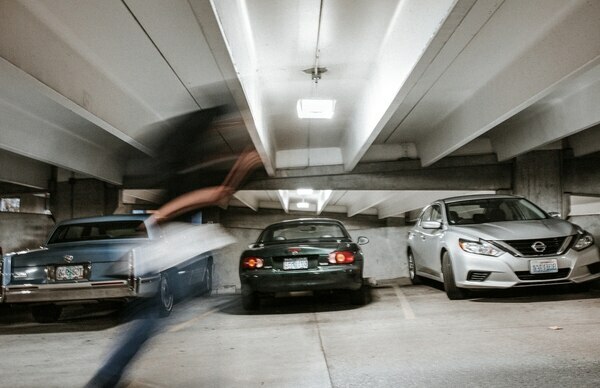 In Washington, if someone riding in a stolen vehicle doesn't have a plausible explanation or tries to flee, that is sufficient evidence to show that he knew the car was stolen. In California, just being found inside a stolen vehicle can be evidence enough. In Idaho, prosecutors just have to show that the defendant should have had a reason to believe the car was stolen. But the bill went against the flow of political will in the Capitol. Lawmakers were seeking wide-reaching criminal justice reforms, like decriminalizing drug possession, that would send fewer people to jail, not more. Defense attorneys lobbied against it. "The reason the car thefts have gone up is drug addiction in the community," says White, who oversees the division of Metropolitan Public Defenders that handles most car theft cases. "Treatment is a lot less expensive than prison. If you want to cut down on car thefts in Portland, there needs to be a lot more focus on treatment." The bill would have been costly. A legislative fiscal impact report said the change could have cost $1.4 million in the first year after passage, and another $4.4 million over the next four years, almost entirely from additional jail and prison beds needed if conviction rates increased. The bill died in the House Ways and Means committee. Kevin Neely, lobbyist for the Oregon District Attorneys Association, says he thinks the bill was the victim of its hefty—and unusual—price tag. "There's just a lack of interest in putting more people in prison," Neely says. "It was very disappointing, because the goal of the bill was not to create an environment where there were more convictions, but to restore us back to where we were before the appeal decisions." Rep. Andy Olson (R-Albany), who co-chairs the Ways and Means Committee, says he believes House Democrats sent the bill to his committee to quietly kill it. "To be truthful with you, [the process] was kind of goofy," Olson says. 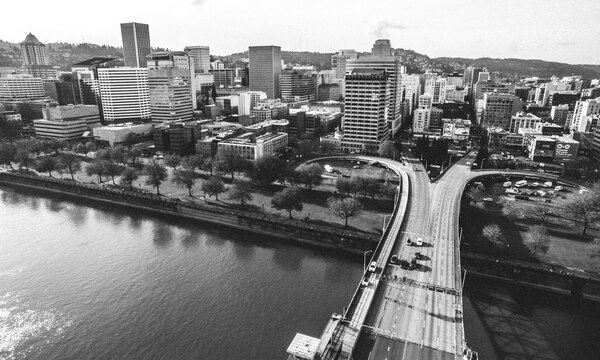 "The citizens in Multnomah County, as well as the rest of the state, have lost as a result of not getting that fix." Both Olson and Rep. Jeff Barker, who co-authored the bill, say they'll try again in 2019. Rep. Jennifer Williamson (D-Portland), the Democrats' leading authority on criminal justice issues, says she'll listen. "Portland is seeing a serious jump in car theft cases, and I know that people across our city are fed up," Williamson says. "While there's no single piece of legislation that will solve this problem, I will keep working with law enforcement, prosecutors, and my colleagues to do what we can to help—including taking another look at the issue the [Appeals] Court identified." Without any easy means of charging car thieves, Multnomah County prosecutors have been getting creative. Micailyn Williams is a 22-year-old Portlander with dark brown hair. She had been arrested six times while driving stolen cars in eight months before she served any prison time. She agreed to take a plea deal in exchange for a light sentence after her last arrest—but it came with a catch. Prosecutors made her sign a statement that would make it much easier to convict her if she ever stole another car. It said that in future, she would know a car was stolen if it came with keys that didn't match the ignition, didn't have a title or bill of sale, was missing a radio or an intact steering column, or if "the lender or seller uses illegal drugs, or income, or is homeless or couch-surfs, or previously had stolen a car." It's a detailed list. But without it, none of those circumstances—the jiggle key, the lack of a car title, the stripped-out dashboard—would be enough to convict Williams or any other driver behind the wheel of a stolen vehicle. These increasingly absurd measures paint a bleak picture of the dilemma on Portland's streets. Portlanders want to show compassion for distressed people whose lives are ruined by addiction. But one result of that urge toward reform is that the law now encourages people on the margins to victimize others. 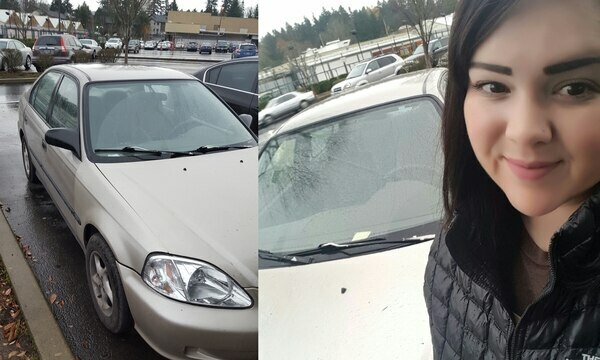 On Nov. 24, Olivia Layna had her 1995 Honda Civic stolen from the parking lot of her Gresham apartment complex. It's still missing. Because Layna, 20, is a delivery driver for Red Robin, she lost her job along with her car. She's livid that the legal loophole hasn't been corrected. 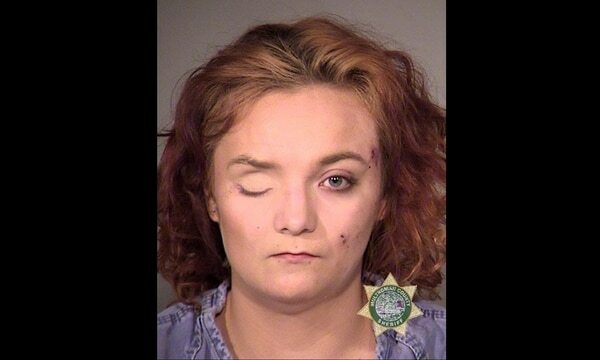 "There is nothing I hate more than a thief, and I think the reason so many cars are stolen from the Portland and Gresham area every day is because of how easily they get off the hook," she says. "These people take from people who work so hard for their belongings—and basically get away with it." This story was reported with support from the WW Fund for Investigative Journalism.